Package could not step into the big shoes and fulfil this role. defeated Barry Windham to become the World Heavyweight Champion. simultaneously. Lex Luger would then go over to WCW, on the very first episode of Nitro. neck. Thankfully, Lex Luger made a recovery and confirmed that he was later able to walk and drive. 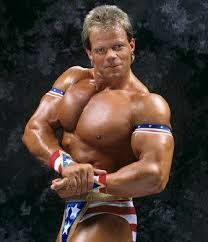 Lex Luger also enjoyed a short lived stint in TNA, and inducted Sting into the TNA Hall of Fame. 5 Former WWE New Generation Superstars: Where are they now?